Paperback. Not available as an ebook. Most people are spending more time and effort than is needed when practicing the violin. Learning violin skills and techniques can be easier than you might think! 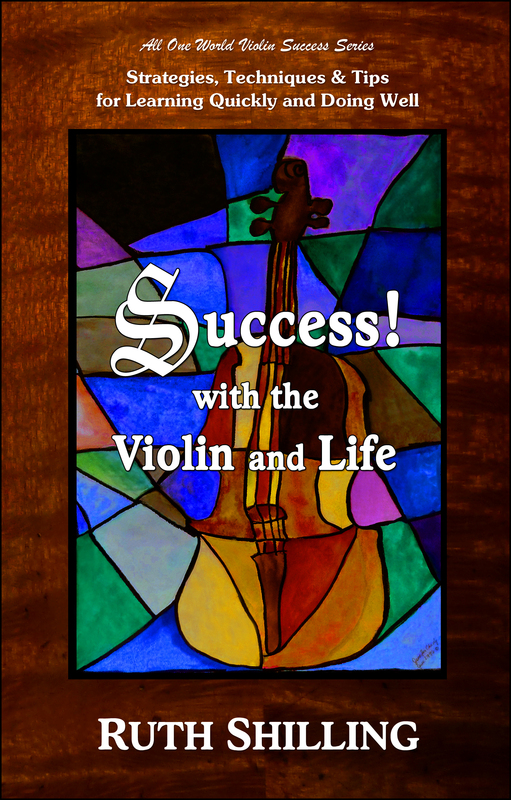 Whether it is playing faster, shifting confidently, developing a fine vibrato, or perfecting your spiccato, seasoned violin/viola teacher, Ruth Shilling, shares with you concepts, strategies and tips that will put you on the shortest, easiest route to your goals. And an added benefit is that these same success principles and skills can be applied to the rest of your life, too! There are step-by-step strategies for solving difficulties as well as exercises to improve your overall technique. Lots of memorable mini-stories from the author’s own experiences help you remember key concepts and principles. It is all in an easy to read format, including an index, so that you can either browse quickly through or read what you want to know in depth. Ruth Shilling, M.M. (Viola Performance) has been teaching violin, viola and chamber music for more than 30 years at the University of Connecticut CSA. She was also the principal viola of the New London Connecticut ECSO for 17 years and the Trillium Trio for 20+ years. SINAI: The Desert & Bedouins of South Sinai’s Central Regions. Published by Palm Press, Cairo, Egypt. Available on Amazon.com.